Order our stunning bunches to enjoy at home or to send to loved ones. Ronny Colbie Bunches have been inspired and created using the connection between flowers and perfume. Bunches will change with the seasons meaning flowers are fresh and fragrant with each delivery. 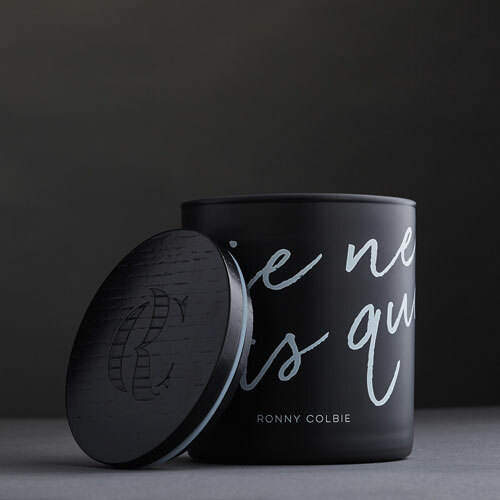 Ronny Colbie luxury candles have been inspired and created using the connection between flowers and perfume, each with a powerful background story and evoking memories through the power of scent. Exquisite flowers which complement and enhance, creating an everlasting memory. A perfect way to show your love with our unique interpretation of a classic red rose bunch. A bunch of powdery tones, containing light blue Hydrangea and soft pink garden roses. A modern-take of a classic red rose bunch. A bunch filled of white English Garden roses, scented stocks and seasonal blooms. A fragrance inspired by the cherished scent of Spring in the English countryside. A heady scent which captures the magic and intrigue of Paris. This woody fragrance is laced with the aroma of long carefree Summers spent on Lake Muskoka. This chypre-woody blend carries fresh winter florals, further sweetened with woodland cassis.